You might remember that last December, messaging app WhatsApp was banned in Brazil for 48 hours in Brazil. The messaging app failed to provide the courts in the country with information related to an alleged drug dealer. However, 12 hours in, another judge threw out the ban and WhatsApp was once again available for Brazilian users. UPDATE: Similar to what happened last year, a second judge from the state tribunal has overturned the ban on WhatsApp, and its 100 million users are free to enjoy the app again. Now, the messaging app is once again suspended in Brazil, this time for 72 hours. The company was ordered by a court to turn over conversations related to a drug case. 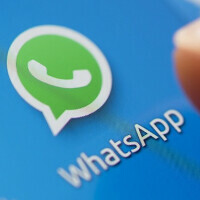 Because the conversations are encrypted in a manner that prevents WhatsApp from delivering them, the judge issued the ban by asking the country's telecom companies to prevent the app from working. Back in March, U.S. law enforcement officials ran into something similar when they tried to receive information related to a court-ordered wiretap being conducted through WhatsApp. The messaging app's encryption prevented the Justice Department from getting information from the wiretap. Brazilian telecom companies are happy to ban WhatsApp. While it is popular and has over 100 million users in the country, many use the app to make local phone calls on their mobile handsets to bypass the local phone companies and their outlandishly high rates. The telecom outfits in Brazil say that WhatsApp's VoIP calling feature is illegal in Brazil. The same judge who ordered WhatsApp to turn over the chat related to the drug case, Marcel Montalvao, signed for the arrest of a Facebook executive in March. Facebook closed on its purchase of WhatsApp in October 2014, with the final price exceeding $21 billion. So what is it 48 hrs or 72 hrs ..? Your contradicting yourself in this article. The WhatsApp is out for 72hrs in Brazil. WTF? VOIP Illegal in Brazil? Or what specifically makes WhatsApp "illegal"? Yeah, the funny thing is though that I can't imagine them catching big time criminals with it, small fry, sure, big stuff? nope, I just can't see them using anything that is publicly known like this, when there are so so many more options that aren't well known, or you know, just make their own unique encryption, no middleman. When someone tells you democracy is bad, think about this 3rd world countries (even a rich or prosperous country is a 3rd world when it comes to civilization) where human rights and respect for international laws means sht.